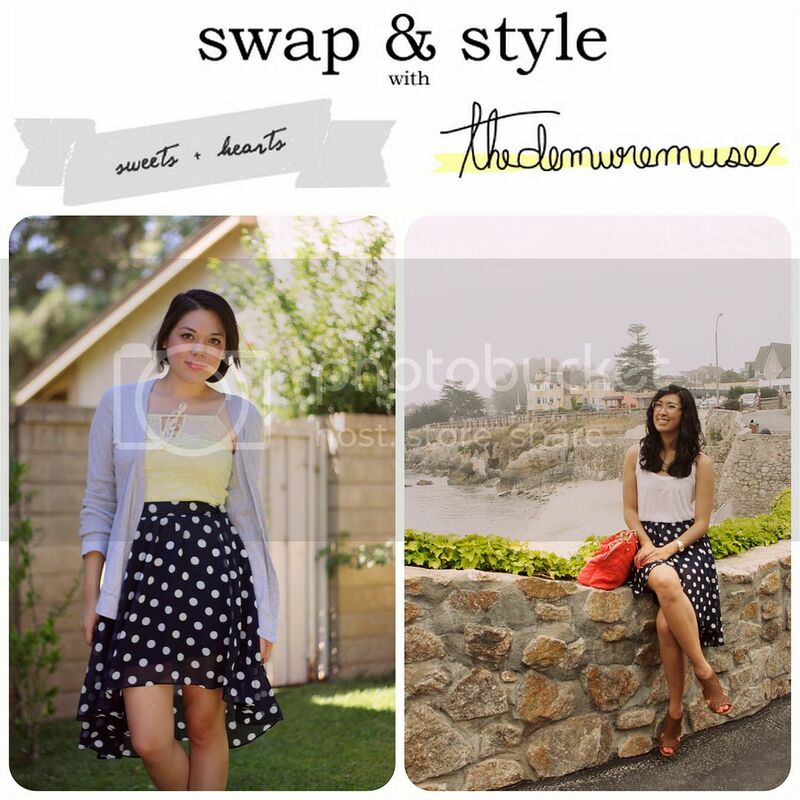 It's time for my favorite series: Swap & Style with the lovely Katrina of The Demure Muse! Katrina sent me her navy polka-dot chiffon skirt to try out. It has a high waist and a slight high-low hem--the perfect blend of retro and trendy. 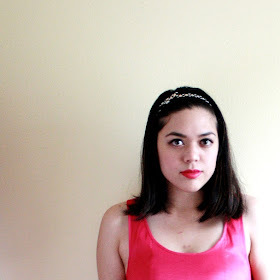 I styled it during late summer, with light layers and kitten heels. Click below for more photos & details! Katrina's navy skirt was easy to wear. I paired it with a pale yellow blouse, a heather gray boyfriend cardigan, and gold Mary-Jane kitten heel flats, then swept my hair up into a side bun for an effortless and casual look. Here's a peek at how Katrina styled it. I love how she wore it with casual neutrals and added a cute bag in a bold color! And gosh, this location is beautiful. Don't forget to visit her blog to see her outfit details! Part II will be up on Wednesday, featuring my yellow floral blouse from ModCloth! Until then, you can see more Swap & Style posts here.